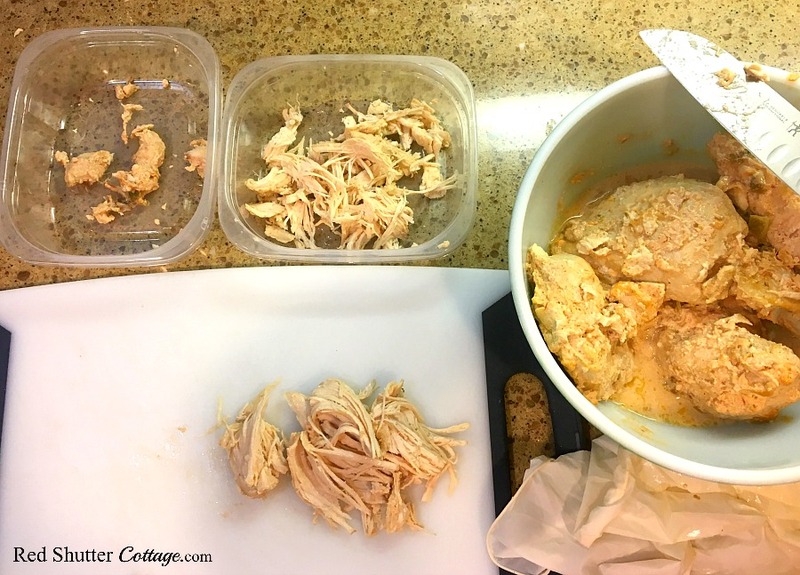 How to ensure you always have cooked and shredded chicken on hand! 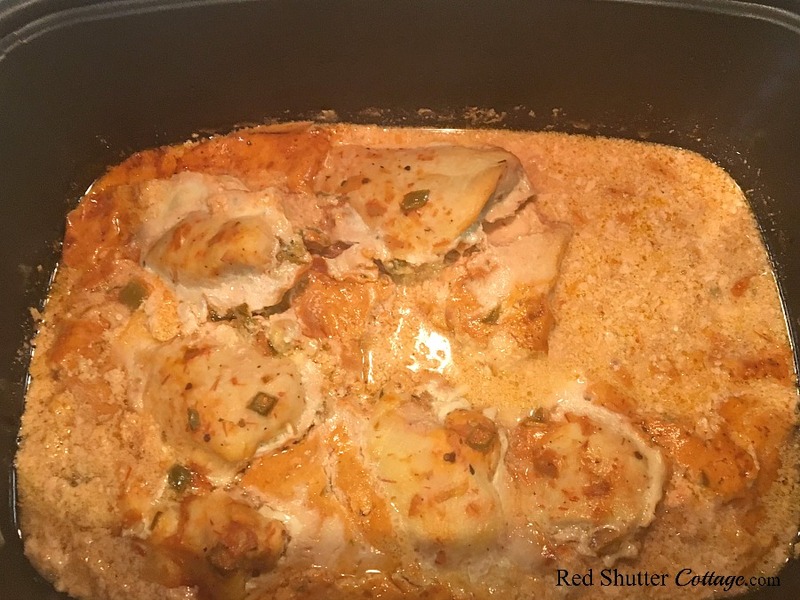 You are here: Home / Soup Recipes / How to always have cooked and shredded chicken! We want efficiency in our kitchen, but we also want to cook meals that are easy, tasty and healthy! 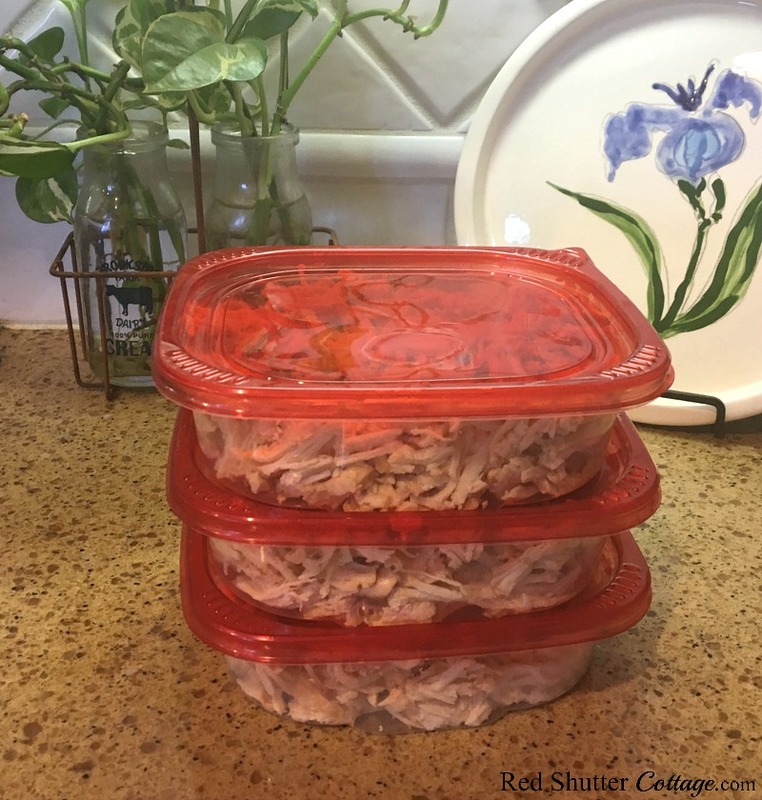 Here is my trick for how to always have cooked and shredded chicken available for any recipe, and ready to go at a moment’s notice. I am usually able to fit around 3 lbs. 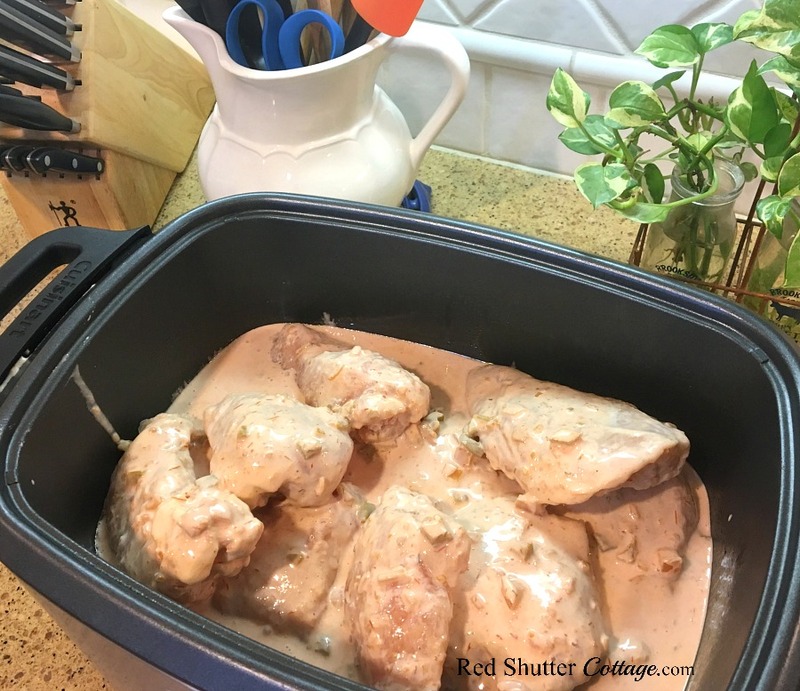 of frozen breasts in my crockpot, which is around 8 – 10 pieces. (My crockpot is a large, rectangular size.) I also include a flavoring component. My favorite, and pretty much my default flavoring is a 16 oz. bottle of salsa mixed with Ranch dressing. In the pictures below, you see the sequence of preparation. I mix the Ranch dressing in with a bottle of salsa. 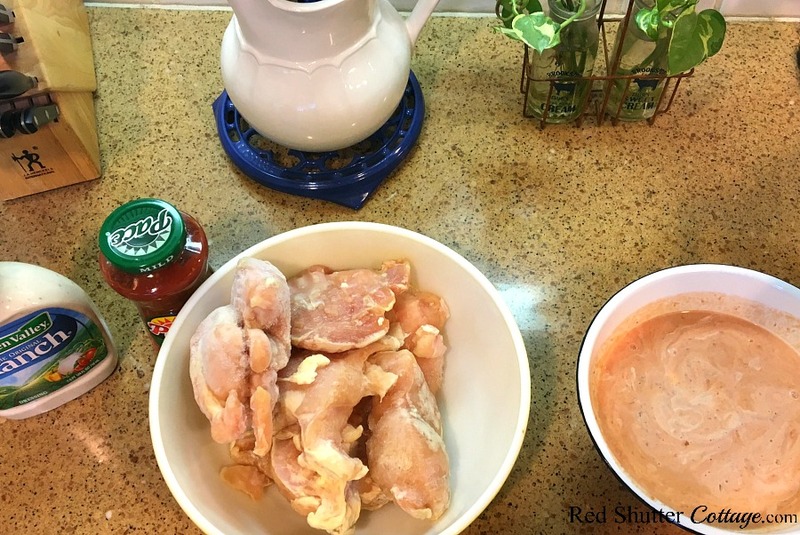 I dip each piece of chicken into the bowl to drench it in the mixture, then lay it down in the crockpot. This is easy, but it’s also a bit messy. You may want to lay down old kitchen towels or a paper bag underneath to minimize the clean-up! 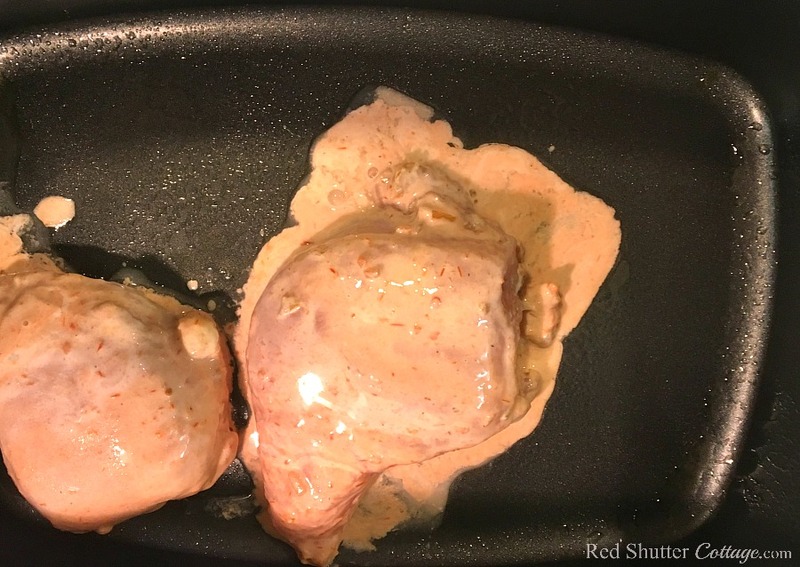 When all the chicken has been coated and placed in the crockpot, you can simply pour any residue of the mixture over the top. Then set the crockpot to cook 6 hours on Low and go about your day! Keep in mind you can use anything or any combination of flavorings. You can use canned soups, salad dressings, enchilada sauce, marinades, seasoning packets, chutneys, jelly, wine, or even canned vegetables. There is really no limit to the different types of flavorings you can add. When the chicken has finished cooking, allow it to cool before handling it. Set-up a cutting board and two containers. One container will be for the shredded chicken. The other container will be used for any leftover fat or skin that pulls off very easily. Put on a pair of latex gloves to protect the chicken and your hands from each other. 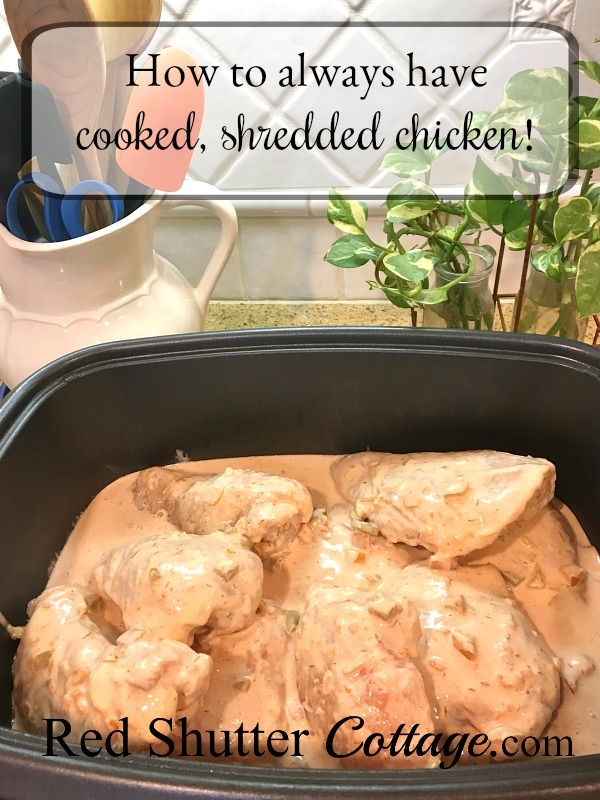 Shred the chicken into bite-size pieces. I store my chicken by measuring and placing 2 cups of chicken to a container. This is pretty much the average amount I use when cooking a chicken enchilada dish, a chicken and pasta dish, chicken tortilla soup or white chicken chili. 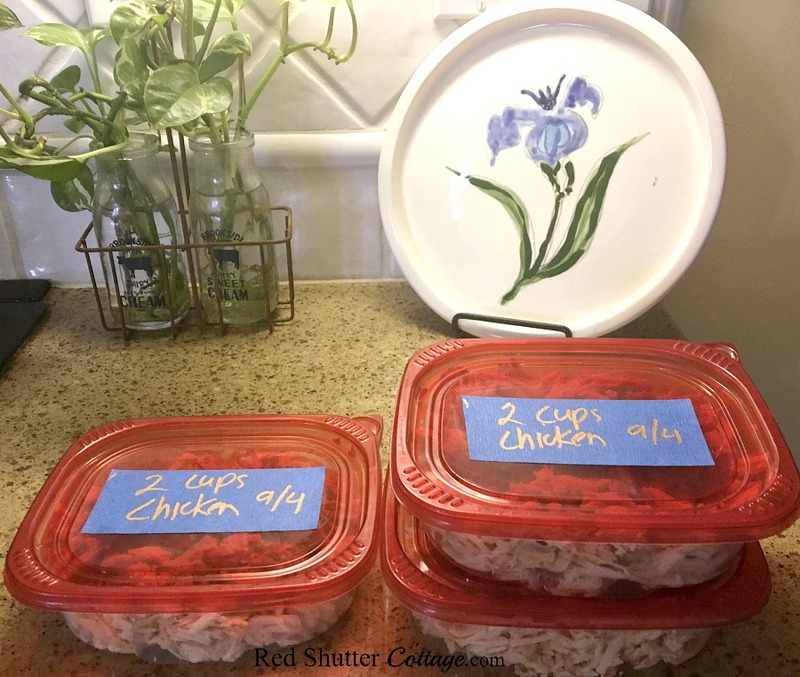 I put these containers in the freezer, and 3-4 containers usually last me about 4 weeks. 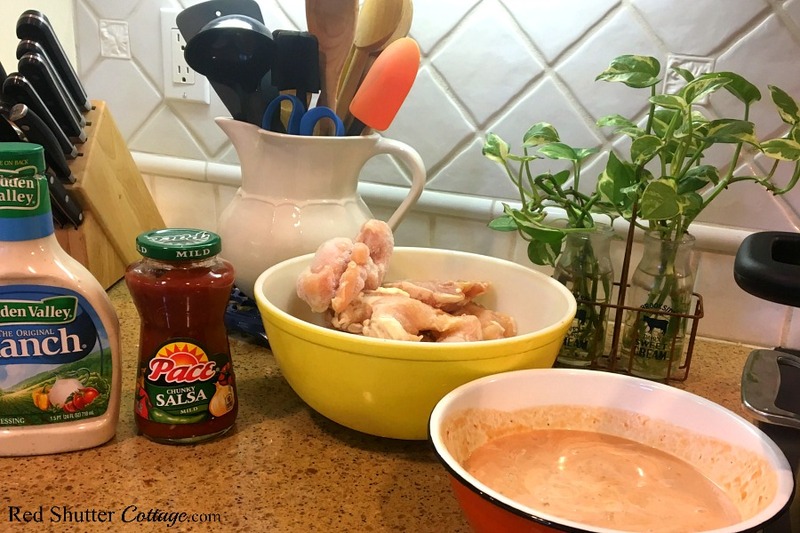 One of the goals of my blog is to offer ideas to help keep your kitchen efficient and your cooking easier. To that end, I have a post here about chopping onions and freezing them in baggies to ensure you always have chopped onions ready to go. 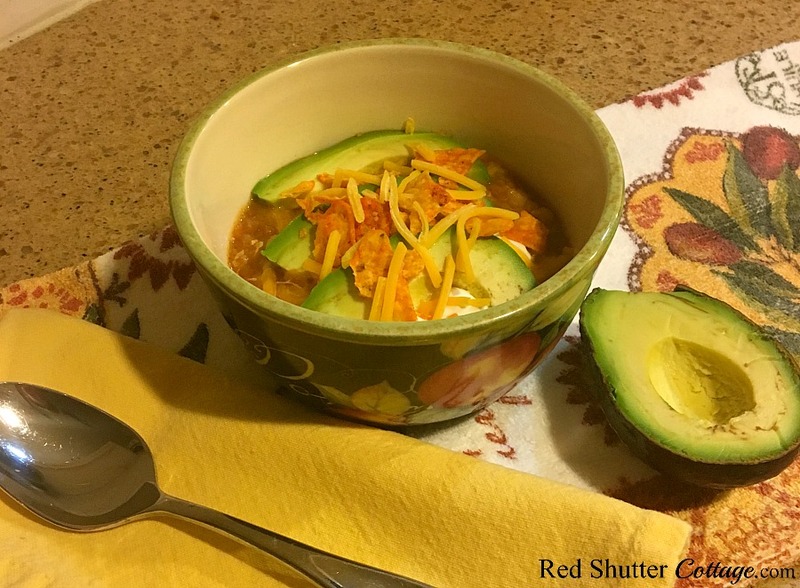 I also have a post here about making Chicken Tortilla soup that is easy and delicious. With the addition of this post about precooking chicken to always have it available, making the Chicken Tortilla soup is a breeze. The onions are chopped, and the chicken is cooked; all you have to do is open a few cans for the remaining ingredients and you are done! Cooking can be more enjoyable when you have taken steps that help with preparation and organization. I hope these ideas help you with keeping your kitchen running smoothly, and making meals that are delicious and healthy! Great ideas! Thanks for sharing them! Your welcome, Nancy! It really helps when I get into a time crunch trying to cook dinner! Love this idea, cook once eat 3 meals. Thanks for sharing Kristine, it looks delicious. Thank you Leanna! With a full-time job, and week-ends full of blogging, I have to do whatever I can to save time in the kitchen. I love my husband, and I love a good dinner, but the last thing I will be doing at the end of a long day and 1+ hour commute home is stand at the stove and cook dinner from scratch. Having chicken cooked and ready to go probably saves me more time than i even realize! !